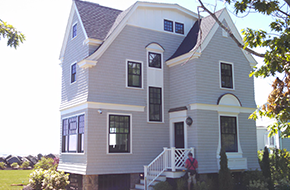 Creative Coast Construction brings craftsmen, subcontractors, and suppliers together to build homes. Building a home can be very exciting, but it can also be very overwhelming if you don’t know what you’re doing. There are so many different factors that go into building a home, and you’ll need a lot of help along the way. Let Creative Coast Construction give you a hand by helping your dream home come together. 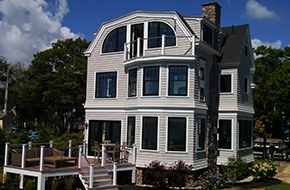 We offer home building in Kennebunkport, ME and have more than 30 years of experience in the industry. We are a custom home builder and build everything from the ground up. Creative Coast Construction is a full-service general contracting company that specializes in working with homeowners to build them the homes that they want. We work directly with people and assist them with everything from designing their new home to seeing the construction through and sticking to the designated budget. We are very proud to say that we have worked on all kinds of homes in the past and have helped homeowners with both big and small projects. We take pride in delivering high quality homes for our clients. When you hire Creative Coast Construction, you won’t have to worry about a thing! In addition to working with homeowners, we also work with a reliable team of architects, designers, landscapers, real estate agents, and other experts. What are you waiting for? 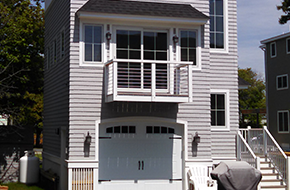 If you are looking to build a home in Kennebunkport, ME, give us a call and find out how we can help you. We know you will love the services that we provide. Ask for Free Estimates!